Every year, The Terraces of Los Gatos honors local residents for their volunteer service and outstanding contributions to our community. These individuals receive The Terraces' annual Seniors of Distinction Award. This year there are five awardees and one of them is our Charles Erekson. Kathy Cusick, Joe's widow is also being honored. Rotarian Charles Erekson was honored as a Senior of Distinction in the Town of Los Gatos on Thursday at ceremonies held at The Terraces of Los Gatos. Each year seniors in Los Gatos and Monte Sereno are honored for their volunteer service and contributions to their community. Originally from Texas, Charles and his wife Susie have lived in Los Gatos for more than 30 years where he is a highly respected and well liked member of the Rotary Club of Los Gatos and in the community. He has held several leadership positions in the Rotary Club and has been recognized as a Paul Harris Fellow for his generous support of the Rotary International Foundation. 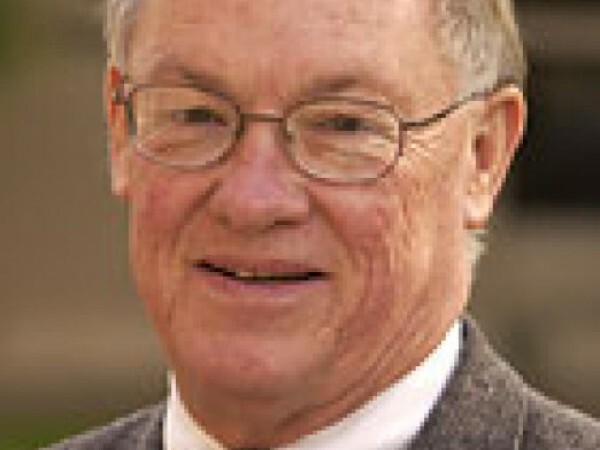 For a number of years Charles has served on various commissions, boards, and committees for the Town of Los Gatos including the Planning Commission, General Plan Committee, Historic Preservation Committee, Conceptual Design Advisory Committee, Housing Element Advisory Board, and North 40 Specific Plan Advisory Committee. He has also been an active volunteer in a variety of youth programs in the community. He was a founding Board member of the Los Gatos Saratoga Girls Softball Association, has served on the Board of Directors of Los Gatos Little League and Campfire Girls and Boys, has volunteered with Big Brothers Big Sisters and the Positive Coaching Alliance, and has coached in a variety of youth sports programs. Dr. Erekson has an undergraduate degree from Texas Christian University (TCU) and graduate degrees from Texas A&M University and Oregon State University. He retired from Santa Clara University three years ago after having spent 45 years as a university administrator at several colleges and universities. He has used his background in education in the local community volunteering for the Los Gatos Education Foundation, serving on several committees in Los Gatos Union School District, and being an executive coach for the LGUSD Superintendent. Charles has also been an active member of the TCU Alumni Association and served on the TCU Chancellor’s Advisory Council. Charles has recently been volunteering with St. Luke’s Pantry, Sacred Heart Community Services, Stop Hunger Now, and as a senior executive coaching and mentoring volunteer. The Rotary Club of Los Gatos was very proud to support the nomination of our fellow Rotarian for this well-deserved award.